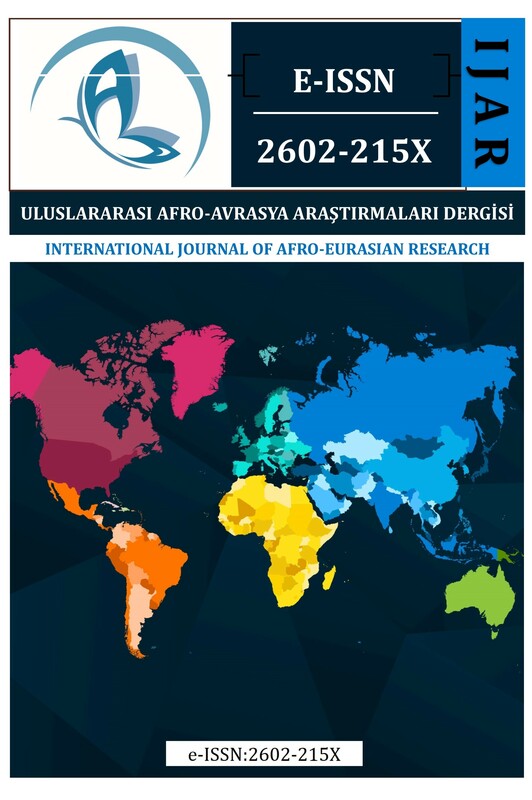 The International Journal Of Afro-Eurasian Research (IJAR) is a Scholarly -Peer Reviewed-Journals and published two times in a year in January and June. The main goal of Our Journal has comprised a scientific platform for academics who desire to share their knowledge, notions, findings and opinions, methods and approaches and researchers with colleagues while contributing in the named disciplines in national and international level. In accordance with the evaluation reports from the referees, the possibilities of the outcome include accepting & publishing the article, correction, or rejection. For Abstracting and Indexing, please click here. Our Jıurnal is published in electronic form. You can use info@afroeurasia.org for all correspondence regarding our Journal.